Children with a disability are more likely to be born into disadvantaged families than their non-disabled peers, according to new findings from the Millennium Cohort Study (MCS). Researchers from the Centre for Longitudinal Studies (CLS), the National Children’s Bureau and the Council for Disabled Children analysed information from more than 7,000 cohort members born in England in 2000-2001. They first looked at whether the children were developmentally delayed at nine months, had Special Educational Needs (SEN) at age seven, or suffered from a long-standing limiting illness between ages three and seven. The researchers then determined whether children with these disabilities were more likely to experience a number of different risk factors, including income poverty, living in social housing, and living in a workless household. Children who experienced any form of disability were more likely to be part of a disadvantaged family during their early years than those who were not disabled. 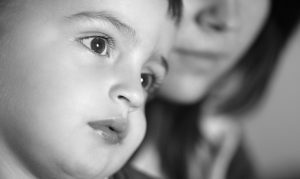 The researchers also examined whether the risk of socio-economic disadvantage increased over time for disabled children. They found that children with developmental delay at nine months became more disadvantaged as they got older than those who did not experience developmental delay. Children with a long-standing limiting illness or SEN, and in particular a statement of needs, were more likely to experience long-term, persistent disadvantage than their non-disabled peers. The study revealed little overlap between different forms of disability. Thirty-one per cent of all the children in the study were disabled by one of the disability measures, but only one per cent were disabled by all three. The researchers will further examine the relationship between disability, family socio-economic background and children’s educational, behavioural and well-being outcomes. For example, early findings indicate that disabled children were more likely to report being bullied at primary school, even when other family and individual factors linked to bullying were taken into account. This work is part of an ongoing research project, Trajectories and transitions of disabled children and young people, which aims to enhance general understanding of disabled children’s early development and their subsequent educational transitions. Disability among young children: Prevalence, heterogeneity and socio-economic disadvantage, by Sam Parsons and Lucinda Platt, was published in the Centre for Longitudinal Studies working paper series in November 2013. Research summary one: What is the prevalence of child disability? (2013) Briefing paper. London: Centre for Longitudinal Studies. Research summary two: Do families with a disabled child face greater socio-economic disadvantage? And how does the risk of disadvantage vary with age? (2013) Briefing paper. London: Centre for Longitudinal Studies.